Remarketing is a strategy that targets users who have already visited your site and entices them to come back, repeatedly if necessary. Visitors are targeted with a tracking cookie, a small file that attaches to web browsers and compiles data as we search the Web. All of that data can be used by frameworks like the Google Display Network and Google Adwords to display your ads across millions of websites. Google Adwords gives you the tools to tag your visitors, add them to a list, and identify the audience that’s most likely to convert. You’re even able to segment this audience and serve them ads based on their browsing histories. This means the ads they’re seeing are relevant and relevant ads have higher engagement. If they still don’t engage, Adwords lets you set the duration an audience member is targeted. Say they haven’t converted in 60 days, then Google will stop showing them your ads. A customer visits one of your product pages and Google places a tracking cookie on their computer. In Google Adwords, you’ve made la tag for every user who visits that page. This tag goes through the listing and segmentation process that determines which ad the Google Display Network will show to the user. When the user visits another website on the sprawling Google Display Network, your ad for the product page they visited will appear. When they click the ad, they’ll be brought back to your site. This cycle repeats until they make a conversion, or the remarketing period you set expires. Now, much more happens in the back-end of digital advertising. We’ll cover topics like bidding strategy, cost-per-click, and social media ads in another post. 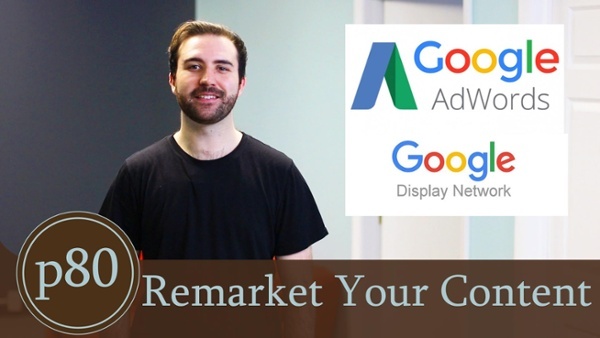 I hope this remarketing overview was helpful! If you need more details, we have you covered with in-depth blog posts.